If you are just starting to search engine optimize your dental office’s website, you might not know where to start. If you are really lost, working with a web developer who knows exactly what your website needs, why it needs it, and how to implement it can be a way to lift the burden of dental SEO from your shoulders. If you are, however, committed to doing all of your SEO yourself, you will need to follow a few simple steps in order to make sure that your website has all of the right elements. The very first thing you will want to know if to not overdo your optimization. Too much optimization makes it look like you are trying to game the system—something Google and search engines like it will punish you for. The basic optimization you want to start with is making sure you have a keyword in your title tag, a keyword in your meta description, and keywords in your header and alt tags. This is the very bare minimum when it comes to optimizing your website. Yes, you want keywords in that content. No, you do not want to stuff that content with keywords. Your focus when writing content should be on providing value, not on just presenting filler content to house your keywords. The more valuable your content is, the more likely your site visitors are to engage with that content. Your potential patients will very easily be able to tell when the content you use on your website is not written with their needs in mind. Low-quality content, even if it contains keywords will always perform worse than high-quality content. Make your focus writing great content. 3. Write a variety of content. Don’t just write page content. 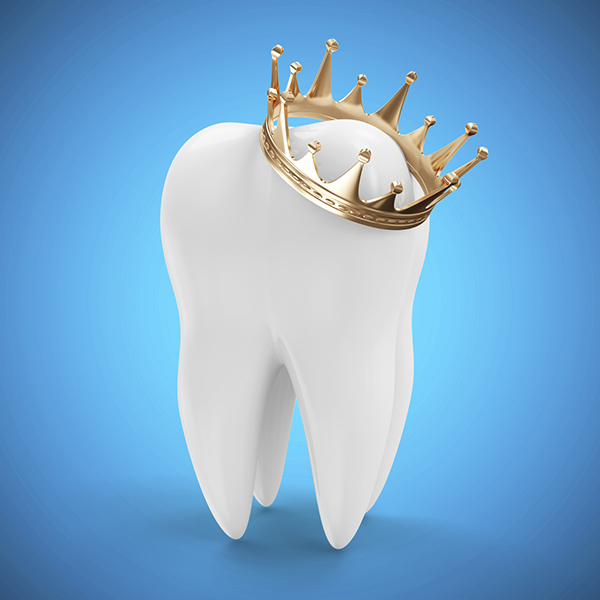 A blog is now a very important part of dental SEO. As a dentist’s office, you have plenty of option when it comes to content for your blog. You have information that your patients and potential patients want—about how to keep their teeth clean, about different diseases or disorders they could encounter, how often they need to visit the dentist, etc., etc. Write a variety of content—don’t just rely on webpage content. 4. Optimize off your site, too. Yes, there are actually actions you can take away from your site that can drive your traffic to your blog or website and get you a higher ranking. One of the best ways to do this is through link building. Dentist’s offices do not have as many options for link building as huge, national businesses do, but there are still lots of valuable options. Local directories is a good place to start. Social media is another location. You are looking for high quality link building opportunities, ones that will help you reach out to your audience. If information on your website or blog is difficult to find, most potential patients are going to just not bother looking for it. No one wants to have to go on an expedition through your website just to find your contact information. You can make the job of your site visitors much easier by making sure your website has a simple and easy-to-understand navigation. You can also present them with the information they are most likely to want or need as quickly as possible. Contact information, for example, could be at the top of every page. Because Google cares whether or not its searchers can easily find the information they’ve clicked on a link to find. If they can’t, you’ll get a lower rank. If they can, a higher one. 6. Work on building social media followings. Today’s consumer wants to connect with the businesses they give their money to on social media. This gives you an opportunity to build a following that you can leverage when reaching out to new patients and when drawing in patients that have let their appointment schedule lapse. 7. Get a great design. Design is just as important to search engine optimization as content is. Consumers now expect even small businesses to have great websites. That means you might need to put out some money in order to get a website that your potential patients will respond to. A good design will be easy to navigate and content friendly. Websites with more webpages usually perform better than websites with only one page. Because this provides you opportunity to write more content, include more keywords, and provide more value to potential site visitors. If your office serves a specific area, you could create a page to target each of those specific areas. If your offer a range of different services, creating a page to talk about each of those services is a great idea. 9. Get a dedicated domain. There are lots of free website building platforms out there that host your website for free in exchange for adding their brand name to your domain. If you are a serious business (and most dentist’s offices are), you need a website that is dedicated only to your office and does not contain another business’s name. SEO is a daily task. After you have your website set up, optimized, and launched, monitor your statistics and make improvements as you go along. If you do not have the time or resources to dedicate to this part of the task, a web developer can be a great option to ensure that your website stays functional and rising the search engine ranks.